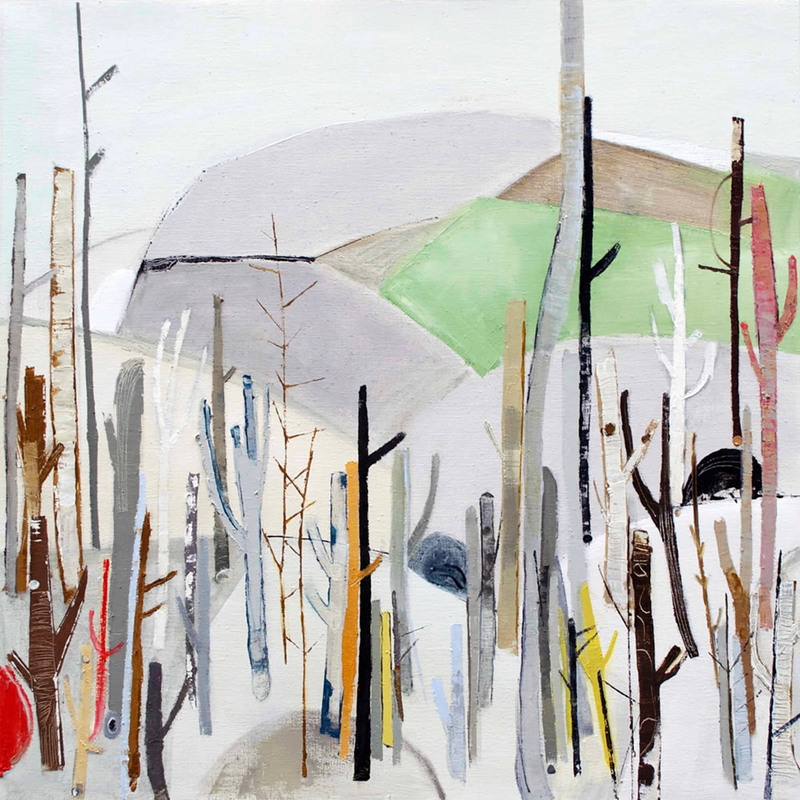 Beverley Rouwen is an established painter in oils, graduating from Huddersfield School of Art in 1985, she worked for 15 years as a graphic designer and studied Life Classes at Central St Martins. 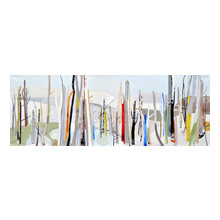 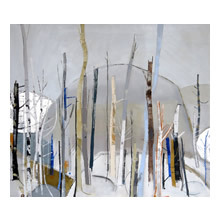 Beverley a long-standing interest in the abstract depiction of trees in the landscape. 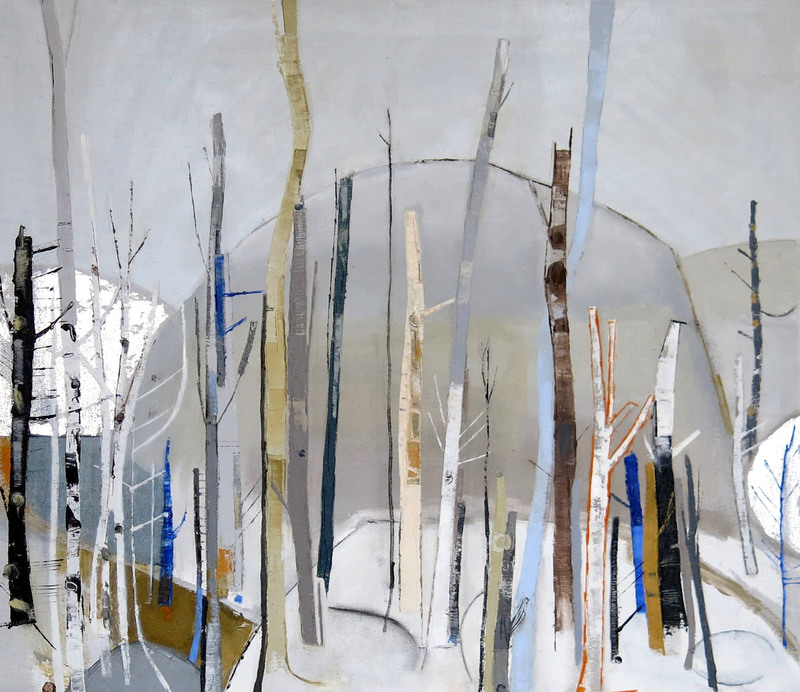 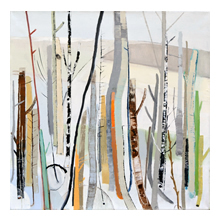 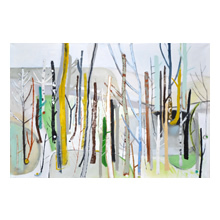 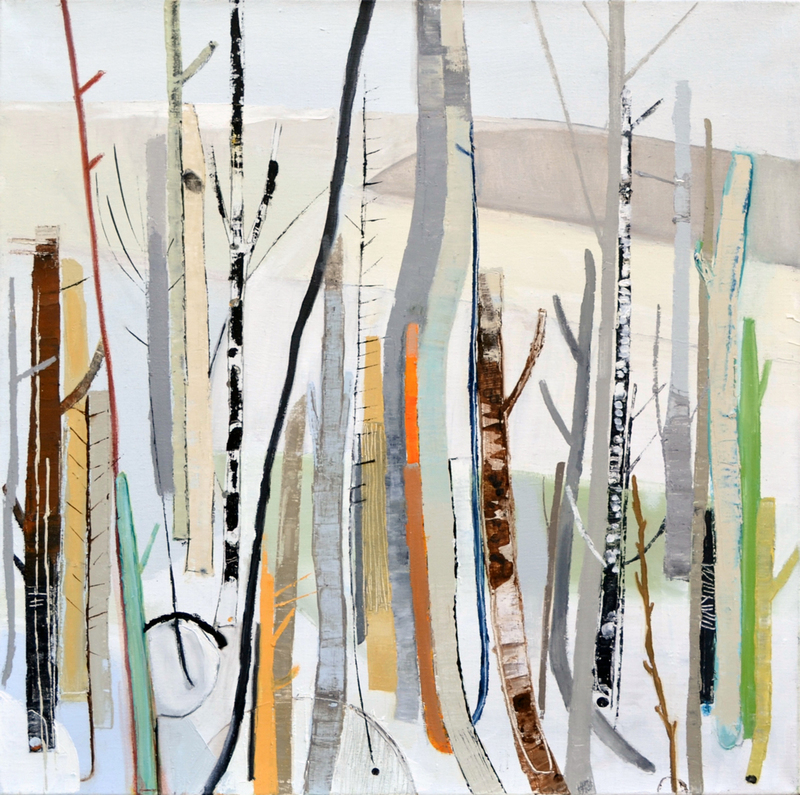 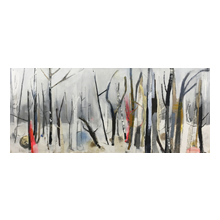 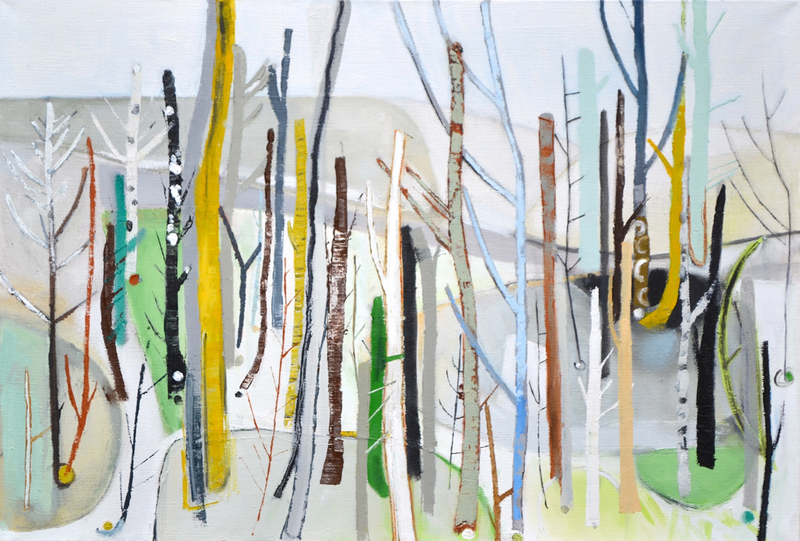 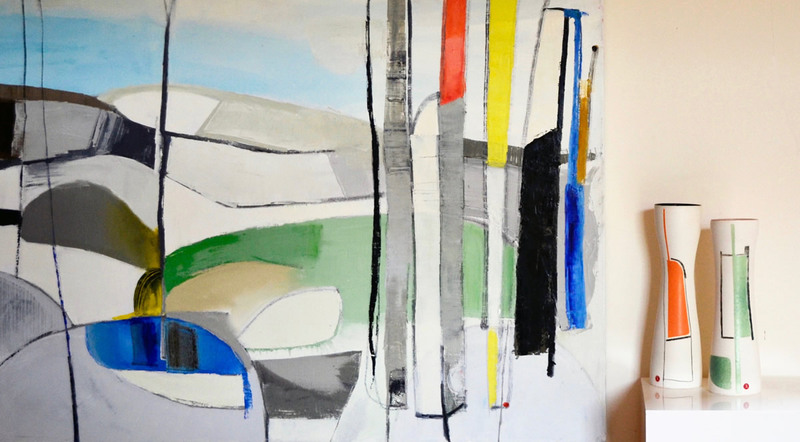 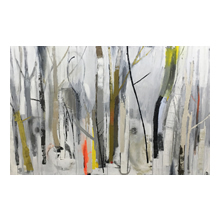 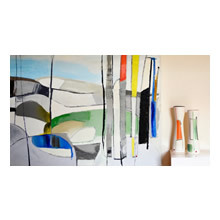 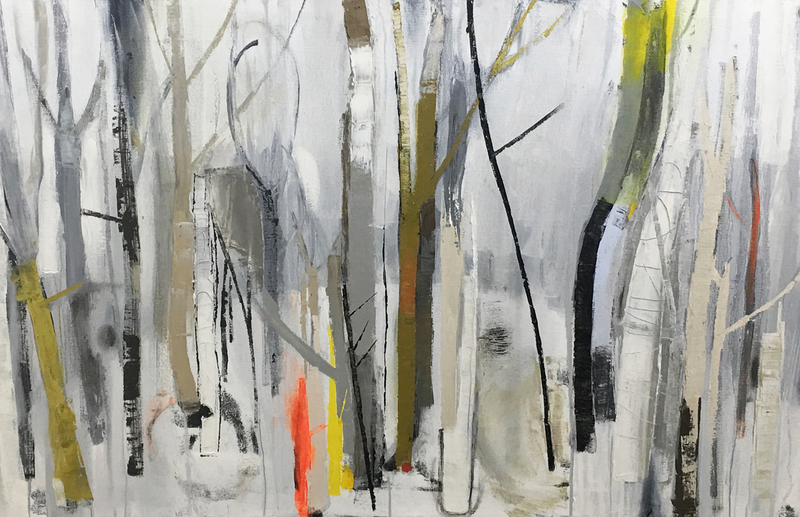 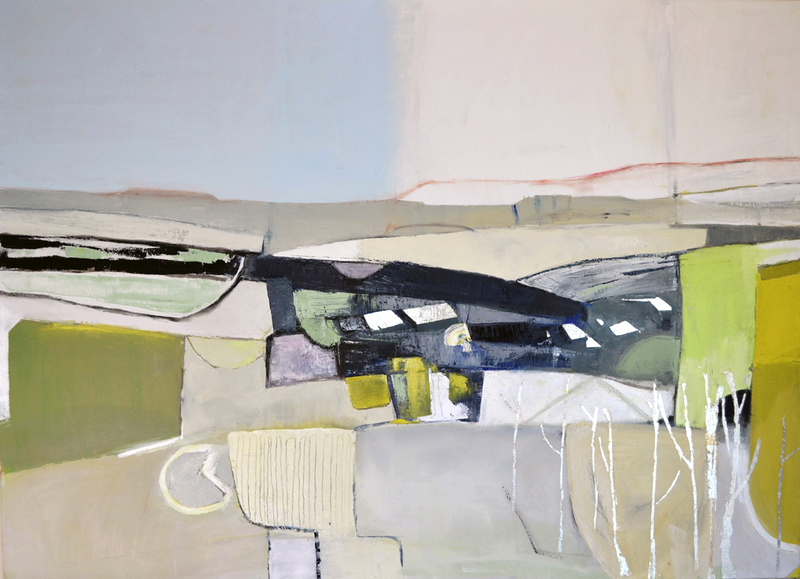 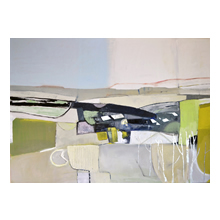 Her work has recently broadened into other worked environments such as the hop gardens of Kent and eventually to even more abstract landscapes which capture many past influences of our impact on the environment and together with the possibilities for future landscapes. 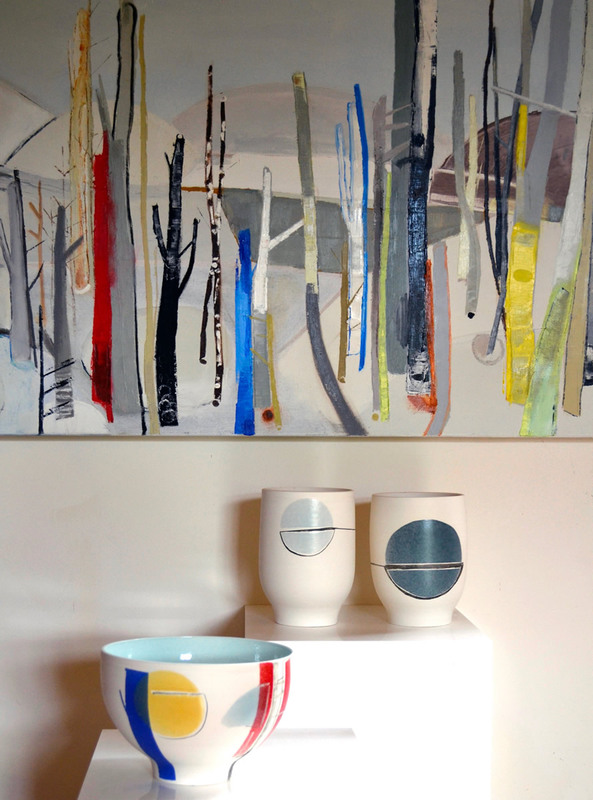 This evolution is apparent in three groups of her work presented here - Trees, Skynets and Clayscapes. 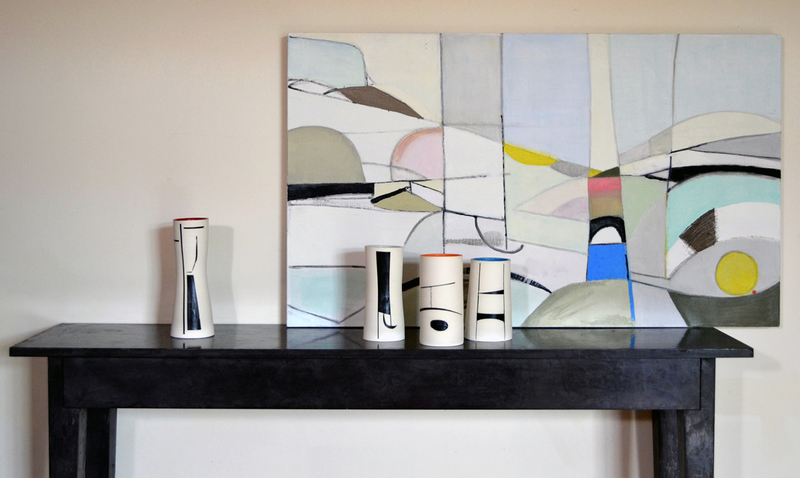 After a career in banking, Douglas Reeve studied Philosophy at Birkbeck and completing his PhD at UCL. 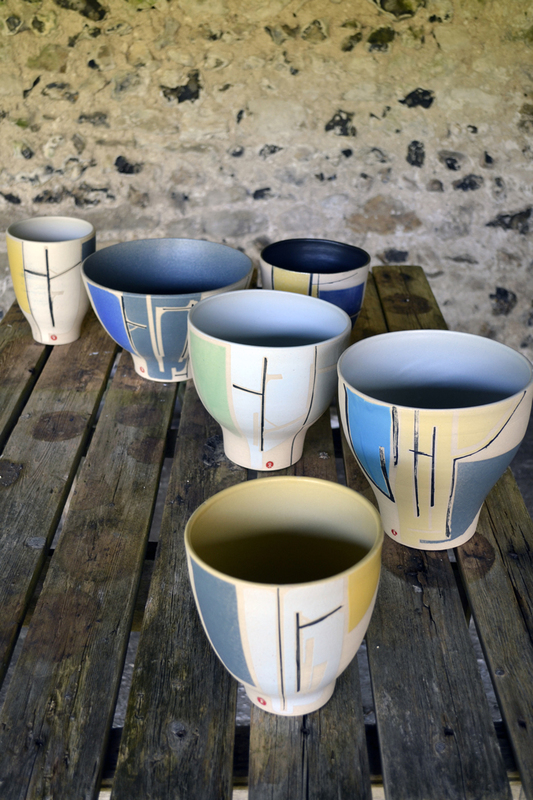 Influenced by Lucie Rie, Hans Coper and Shoji Hamada and inspired by visits to Mashiko in Japan, he decide to make the transition from collector to maker. 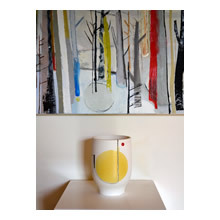 Douglas takes an experimental approach with a focus on the extension of simple forms and the beauty of subtle curves. 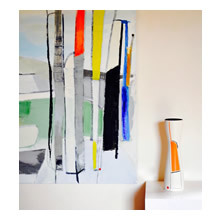 Working with Beverley, Douglas has developed new forms inspired by her more abstract work and designed specifically to accompany individual paintings. 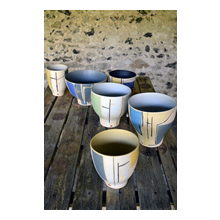 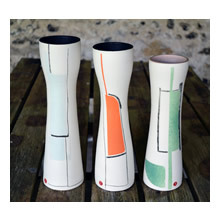 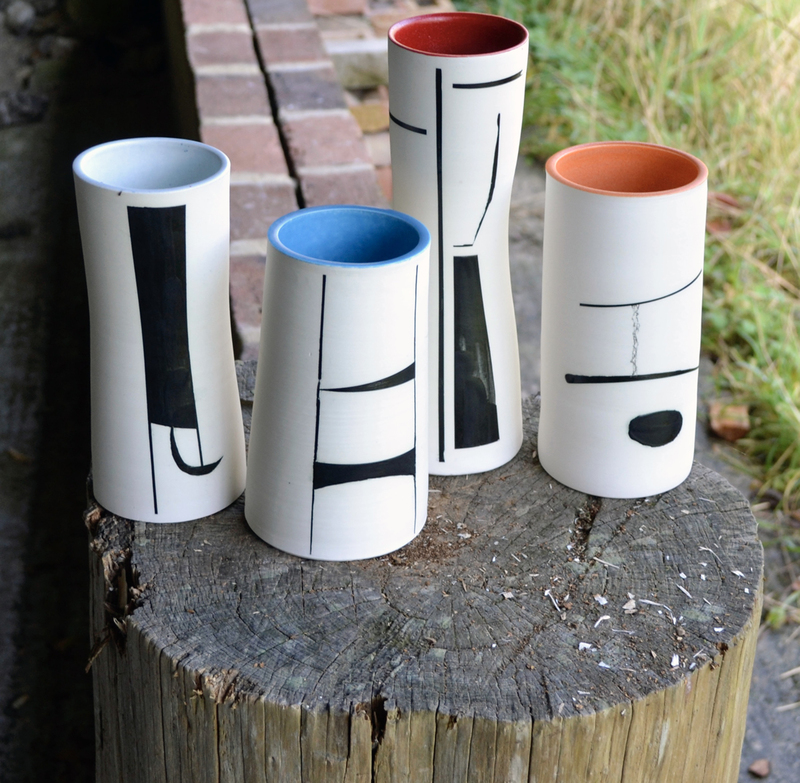 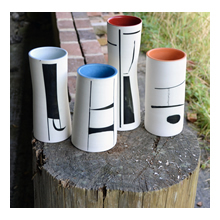 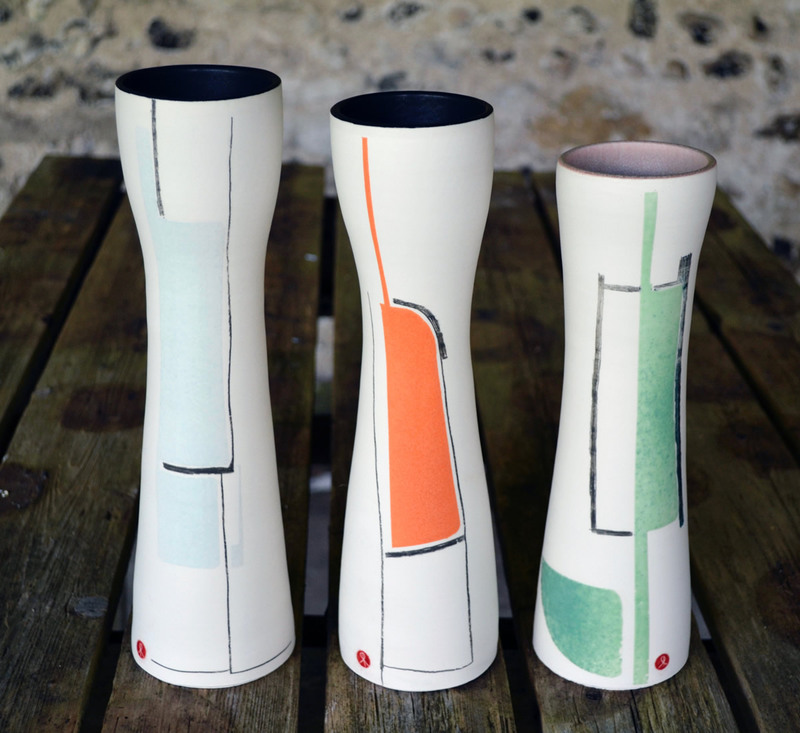 Some of these forms remain stark white while a selected few are decorated by Beverley to more tightly connect the work of painter and potter. 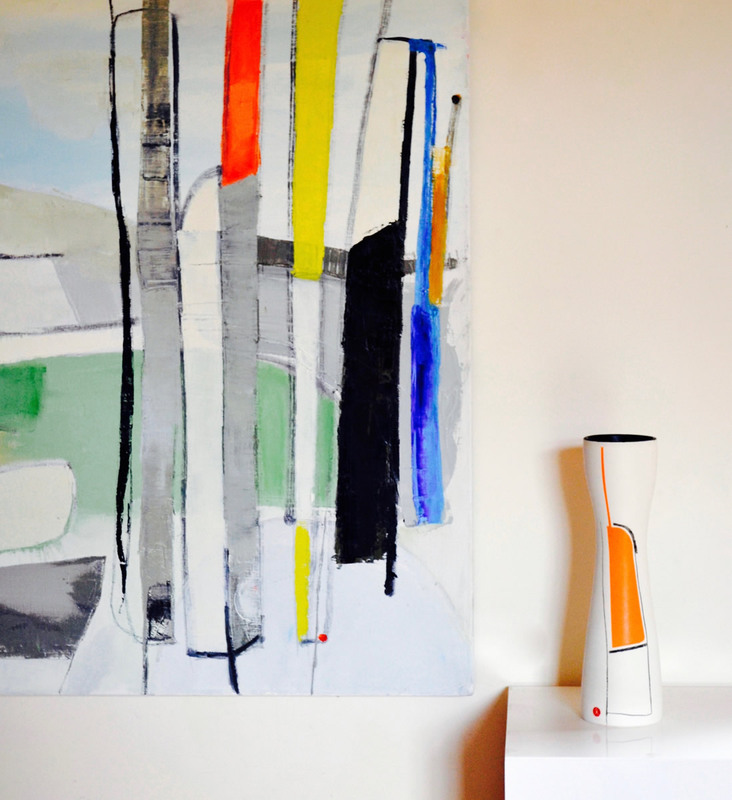 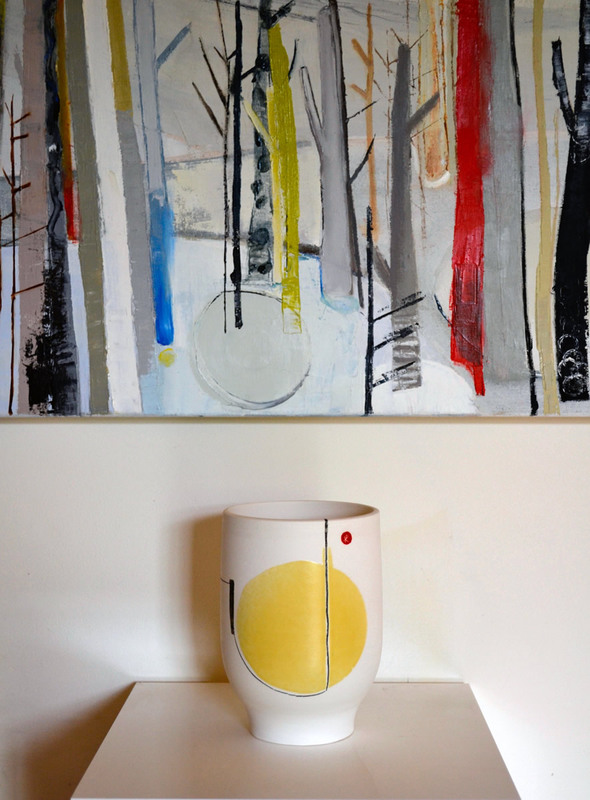 Their continuing dialogue is reflected in shapes and decoration shared by both media culminating in artworks where paintings and pots form part of a whole. 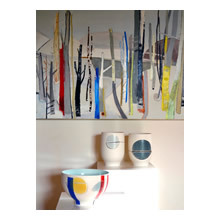 In the latest examples of the Trees series key elements of the painting appear as decoration on the accompanying bowls. 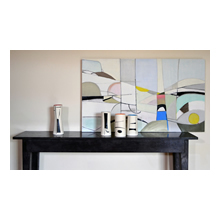 This results in an extra dimension of interest.